Bimrose Automax CVT is a high performance multivehicle transmission oil for modern vehicles with Continuously Variable Transmissions (CVT). It is blended with synthetic base stocks and specialised additives to give the appropriate friction characteristics required while still providing excellent anti-wear performance for the transmission componentry. It extends transmission life by minimising wear, reduced deposit formations, longer service life due to the full synthetic base stocks and shear-stable additive technology. Supersedes the old DXII and was original fill in 4 speed electronic Commodores. For 4 speed electronic Falcons, etc. Developed to provide longer service life and cooler, smoother operation in 4 speed electronic autos and factory fill 5 & 6 speed manual gear boxes. UTO is used mainly in older Massey Ferguson, David Brown, Fiat and International Tractors, in their motors, transmission & hydraulics. Bimrose TO 4/10, 4/30 4/50 and 4/60 are sophisticated transmission oils which have been developed to meet a range of transmissions used in agricultural and off-road equipment. They meet the requirements of the very latest Caterpillar TO-4, Allison C4, Komatsu and also Eaton and Dana manual transmissions. These oils provide excellent resistance to oxidation and friction and have desirable seal swell characteristics. T.H.T.F. is the finest and strongest universal Tractor Hydraulic Transmission Fluid available. It meets or exceeds the requirements of all major tractor manufacturers, ie. John Deere, Ford, Case, Fiat, Kubota etc. It even makes older Caterpillar Challengers steerable. Bimrose Compressor Oil is blended from highly refined virgin base oil, with anti-corrosion, anti-oxidisation and anti-wear additives to produce exceptional anti-foam and heat resistance properties. This oil is suitable for all types of reciprocating air compressors, piston, rotary and screw as well as vacuum pumps (as used in Dairies).Bimrose Compressor Oil is blended from highly refined virgin base oil, with anti-corrosion, anti-oxidisation and anti-wear additives to produce exceptional anti-foam and heat resistance properties. This oil is suitable for all types of reciprocating air compressors, piston, rotary and screw as well as vacuum pumps (as used in Dairies). to work at the same cycle rate hot as when it is cold. Increasing component life and significantly reduces down time. Ideal for Cryovac machines or small vacuum pumps. Economical standard hydraulic oil available in all grades available on request. 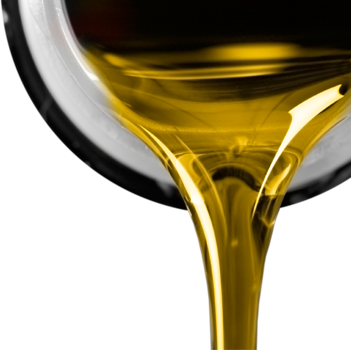 Our Hi Temp range of hydraulic oils will work all day without losing viscosity or workability. Should be used in all high efficiency hydraulic systems as in Harvesters, Excavators, Bob Cats, Backhoes etc and as it does not get hot, will not harden O rings, buckets or the rubber inside hydraulic hoses. Available in ISO 46, 68 & 100, other Hydraulic oil grades available on request. For power shift and manual transmissions in farming, mining and earthmoving machinery requiring TO4/10, TO4/30 & TO4/50 specs. Use TO4/30 Summer Weight as an All Seasons Oil and TO4/10 in Allison Transmissions & Hydraulics.